Russia’s long-range Tu-22M3 bombers delivered their first airstrikes on terrorist targets in Syria operating from an Iranian airbase. Moscow and Tehran cooperation in Syria is “strategic,” confirmed the head of Iran’s National Security Council. The long range bombers with full bomb payload took off from Hamadan Airfield to attack Islamic State (IS, formerly ISIS/ISIL) and Al-Nusra Front facilities in Aleppo, Deir-ez-Zor and Idlib provinces. Russian bombers strike IS from Iran. The long-range bombers were covered by Su-30sm and Su-35s jet fighters which took off from Russia’s Khmeimim Airbase in Syria. Russia notified the US-led coalition about its operation involving the use of an Iranian airfield and passing through the coalition-controlled territory in time, which was “enough” to maintain safety in the airspace over Iraq and Syria, the US Defense Ministry spokesman said during a briefing following the Russian air strikes. The number of military aircraft deployed at Hamadan Airbase has not been disclosed. The Al-Masdar website was the first to publish photos of at least three Tu-22M3 bombers and Il-76 military transport jets in Iran. Moscow and Tehran signed a military agreement allowing Russian aircraft to station at Hamadan Airport in western Iran. Tehran has agreed to share its military facilities and capacities with Moscow, confirming dedication to strategic cooperation in fighting against terrorism in Syria, Iran’s Secretary of Supreme National Security Council Ali Shamkhani told Islamic Republic News Agency (IRNA) in an exclusive interview on Tuesday. The core benefit for the Russian Air Force is a drastic reduction in flying time to terrorist targets in Syria. Russian long-range bombers delivered airstrikes in Syria from a base in Mozdok, Russia, and had to cover a distance of about 2,000km to get to Syrian airspace. Now that distance is reduced to some 700km, so time-sensitive airstrikes can be delivered immediately and more cheaply. 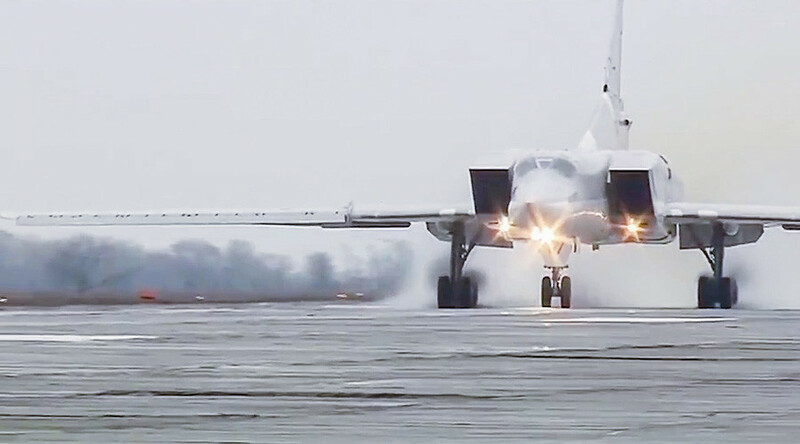 As for Khmeimim Airbase in Syria’s Latakia province, used by Russian task force since September 2015 to deliver airstrikes against Islamic State (IS, formerly ISIS/ISIL) – its airstrip is not suitable for the heavy Tu-22M3. 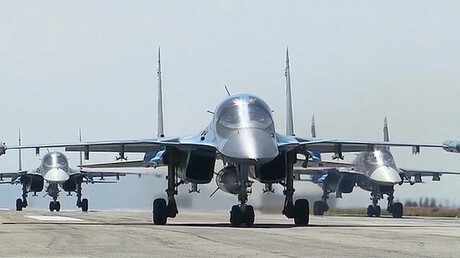 But that is subject to change, as Damascus granted Moscow permission to station a permanent military airbase at Khmeimim, and the Russian Air Force is preparing to thoroughly refurbish and modernize the airfield, so it will be able to accommodate all types of military aircraft in the near future. Military cooperation between Iran and Russia is developing rapidly. In January this year, Moscow and Tehran signed military cooperation deal that implies wider collaboration in personnel training and counter-terrorism activities. Russia’s Defense Minister Sergey Shoigu and his Iranian counterpart Brigadier General Hossein Dehghan signed the document during a visit by Russia’s top brass to the Iranian capital. On Monday, Russian media reported that Moscow has once again requested Iran and Iraq to allow cruise missiles to fly through their respective airspace to deliver strikes on terrorist targets in Syria. Also on Monday, Russia launched tactical naval drills in the Mediterranean and Caspian Seas. The warships taking part in the exercise are to engage in live artillery and missile fire “under simulated battlefield conditions.” The Mediterranean force includes two fast attack guided missile craft, both armed with Kalibr-NK cruise missile complexes equipped with eight missiles each. Simultaneously, a group of four attack guided missile craft (each armed with 8 Kalibr-NK cruise missiles) has been deployed in the southwestern part of the Caspian Sea, also to perform live artillery and missile strikes. On October 7, 2015, four Russian Navy warships in the Caspian Sea fired a total of 26 missiles at positions in Syria held by IS, Shoigu announced. The missiles traveled some 1,500km, changing route several times, and eliminating 11 targets.